MICHAEL A. ROGAWSKI is professor in the Department of Neurology with joint appointment in the Department of Pharmacology, and an affiliate member of the Center for Neuroscience at the University of California, Davis. Until 2006, he was senior investigator and chief of the Epilepsy Research Section at the National Institute of Neurological Disorders and Stroke. Dr. Rogawski received his B.A. from Amherst College, and M.D. and Ph.D. (pharmacology) from Yale University. After serving as a postdoctoral fellow in the Laboratory of Neurophysiology, NINDS, he completed residency training in neurology at Johns Hopkins. Dr. Rogawski was chair of the UC Davis Department of Neurology until 2012. Dr. Rogawski’s research encompasses cellular neurophysiological studies of ion channels (with a focus on the mechanisms of action of antiepileptic drugs); animal models of epilepsy, migraine, and nerve agent intoxication; and clinical studies on new treatments for seizures, epilepsy, migraine, traumatic brain injury, and neurodevelopmental disorders. His laboratory studies on AMPA receptors and neurosteroids have led to new treatment approaches for seizures and epilepsy. 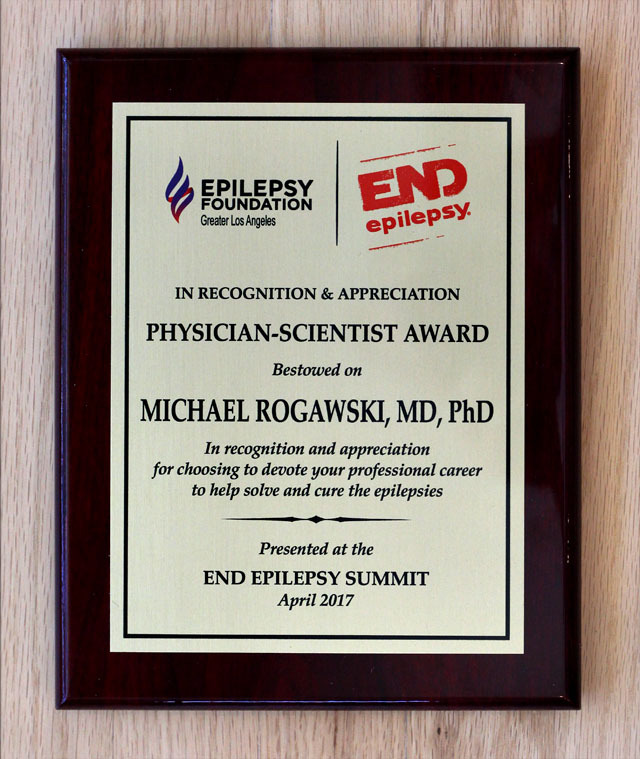 Dr. Rogawski has received the NIH Director’s Award, the Epilepsy Research Award for Outstanding Contributions to the Pharmacology of Antiepileptic Drugs from the American Society for Pharmacology and Experimental Therapeutics, the Service Award from the American Epilepsy Society, the American Academy of Neurology 2015 Neuroendocrine Research Award, and the Physician-Scientist Award of the End Epilepsy Summit, Epilepsy Foundation, Greater Los Angeles (April 2017). In October 2018, the American Association for the Advancement of Science elected Dr. Rogawski as a Fellow in the Neuroscience Section for distinguished contributions in the fields of neuroscience, neuropharmacology and neurology, particularly applied to the treatment of epilepsy. He was also elected to full membership in Sigma Xi, the scientific research honor society. He presented the British Pharmacological Society Lecture, the Killam Lecture of the Montreal Neurological Institute, and the American Epilepsy Society’s William G. Lennox Lecture. 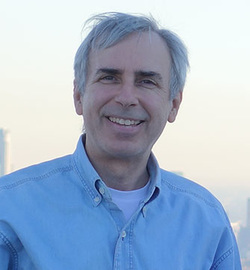 Dr. Rogawski has served on the editorial boards of Molecular Pharmacology, Epilepsia, Epilepsy Research, Synapse, CNS Drug Reviews, Current Neuropharmacology, Pharmacology & Therapeutics, BMC Pharmacology, Cellular and Molecular Neurobiology, and Nature Scientific Reports, and was executive editor of Neuropharmacology and associate editor of Neurotherapeutics. He is a founder and was co-chief editor of Epilepsy Currents, the journal of the American Epilepsy Society. He is currently associate editor of Epilepsia Open. He has served on the board of directors of the American Epilepsy Society, he has been a member of advisory panels to the National Institutes of Health, and he serves in an advisory capacity as a special government employee to the Food and Drug Administration. He is past president of the American Society for Experimental Neurotherapeutics.